Group: All staffs and students of Krupanidhi College of Nursing and the invited guest for the programme. Lamp Lighting was held on 26/02/2019 from 10:30-2:00pm in Krupanidhi Auditorium. 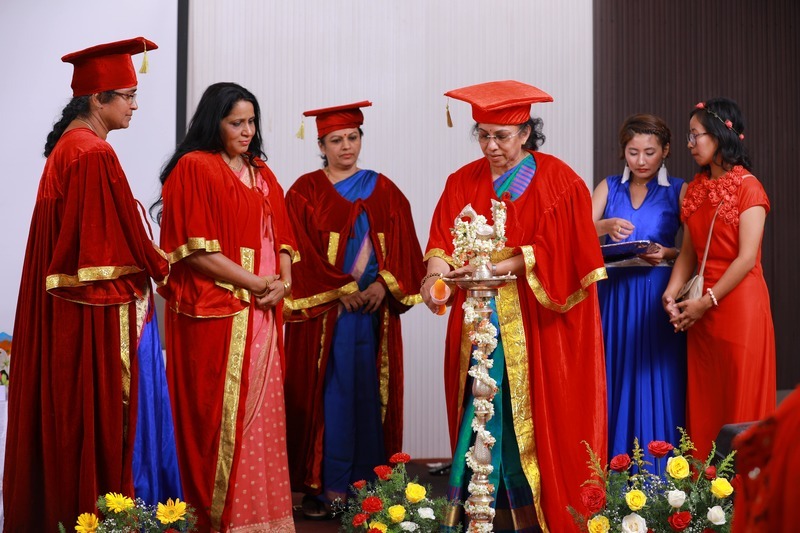 The Chief guest was Dr. Deepa K.H chief of medical Sciences, HAL Hospital, and the guest of honour Mrs. Vasanthi R.P Deputy Nursing Superintendent Sri. Sathya Sai Institute of Higher medical science Bangalore. The Cermony was hosted by Ms. Blessy Baby Asst. 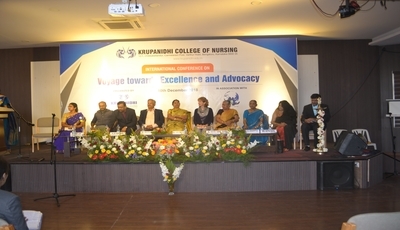 Lecturer Krupanidhi College of Nursing. 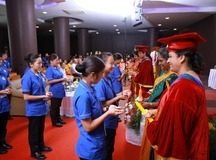 The programme began with academic procession with graduates, Guest of honour Vice Chairperson, Principal Krupanidhi College of Nursing and followed by that the fresher’s were welcomed and the programme started with invocation song and Prof. Reena Ravi HOD Department of pediatric Nursing, welcomed the gathering, Followed by the lamplighting and Mrs. Vasanthi R.P, Deputy Nursing Superintendent, delivered a message on significance of Lamp Lighting. 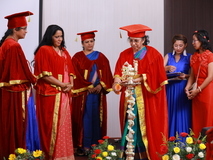 Prof. Jasmine Joseph (Principal Krupanidhi College of Nursing), Mrs. Vasanthi R.P, (Deputy Nursing Superintendent), Mrs. Indira (Nursing Officer HAL), Mrs. Subadra )Matron of HAL) lit the florence nightingale lamp and the students marched forward to receive the flame Oath was recited by Prof. Jasmine Joseph to both fresher’s & Graduates. Fresher ere invited for dedication song and replaced the lamp. 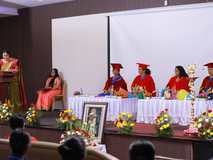 All the graduates were awarded by guest on the Dias. A comprehensive annual report of year 2018-19 was presented by Prof. Jasmine Joseph, Dr. Deepa K.H chief and Vice Chairperson addressed the gathering. The gathering were inspired with their thoughts Mrs. Leeba Baby Asst. Professor delivered vote of thanks. 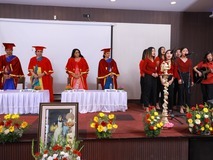 The formal programme ended with college anthem and further more cultural were organized by our talented students and programmed ended by 2:00pm with national anthem.